Just when I thought things couldn’t get any better for my SPFBO entry, along comes Kitty G’s video review of The Exercise Of Vital Powers, yesterday. Not only did Kaitlin produce a very complimentary overview of my book, watching the video has actually made me seriously start to believe that it’s a better story than I previously thought. I still don’t think it’s polished enough to progress to the final round, but Kaitlin’s praise has already had a positive effect in terms of increasing interest in my book, as well as causing a spike in sales. In that respect, entering this year’s Self-Published Fantasy Blog Off has definitely paid dividends so I’m really glad to be involved. Anyway, that’s enough waffling from me; you can watch Kaitlin’s review below. I have an exciting (to me at least) update about the Self-Published Fantasy Blog off contest, and it concerns my humble entry, The Exercise Of Vital Powers. To my surprise, #SPFBO judge Kaitlin aka “Kitty G” read my debut novel this week during her trip to Worldcon in Finland, and even more surprising than that was discovering that she really liked it. Yesterday she posted an initial review on Goodreads, awarding my book a 4.5 stars rating and it’s fair to say it has made my year. Knowing that my story struck a chord with a reader who has no vested interest in kissing my behind has gone a long way to making me feel a little less like an imposter. It’s been almost two weeks, now, since I posted about the opening of the #SPFBO 2017 book contest, with author, Mark Lawrence’s call for 300 new submissions to participate in this year’s competition. 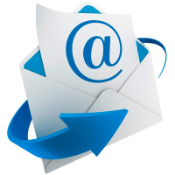 Though still in its infancy, the contest (only now in its third year) has already made enough of an impact that 300 entries were received in a matter of days; far sooner than the July 1st deadline. 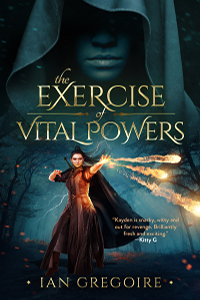 I am pleased to say that my debut novel, The Exercise Of Vital Powers, is one of the lucky entrants, though I am well aware that I have no chance of winning. Yesterday evening, British fantasy author Mark Lawrence launched the third Self Published Fantasy Blog-Off contest, issuing a call for self published authors to submit their work by 1st July. Only the first 300 hundred entrants will have their work entered so if you are interested, get a move on; at the time of writing 147 submissions have already been received. The SPFBO book contest is a wonderful opportunity for self published authors to greatly increase their visibility, and is not to be missed. Last years winner earned a contract with a major publishing house.